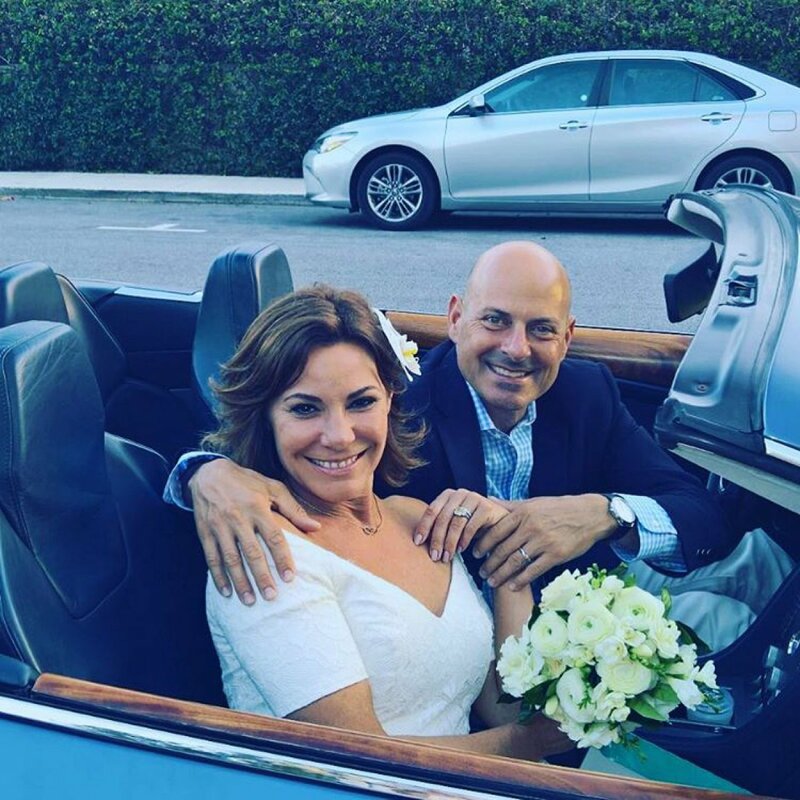 LuAnn de Lesseps says she was "on a mission" to make her marriage to Tom D'Agostino, Jr., work. The 52-year-old reality star confessed on "The Real Housewives of New York City" Season 9 finale that it was challenging to keep her relationship with D'Agostino afloat. "I was on a mission to make this work and I did," she said on Wednesday's episode, according to People. "And guess what? We're happy -- I'm happy -- and that's all that matters." De Lesseps' confession followed two seasons of the star defending her relationship with D'Agostino. The couple ultimately announced their intent to divorce Aug. 3 on Twitter after seven months of marriage. "It's with great sadness that Tom and I agreed to divorce," de Lesseps tweeted. "We care for each other very much, hope you respect our privacy during this sad time!" De Lesseps married D'Agostino on New Year's Eve following rumors of his infidelity. The relationship caused a rift with her co-stars, including Bethenny Frankel, which de Lesseps addressed in September. "It makes me sad that she's so angry with me for no apparent reason, except that, you know, I'm getting married too quick for her taste," she said on Watch What Happens Live. A preview for Part 1 of the Season 9 reunion shows de Lesseps still defensive about D'Agostino. The reunion special will air Aug. 16, with Part 2 scheduled for Aug. 23. "What is this obsession with Tom?" de Lesseps asks before Frankel explains, "Any one of 10 things he's ever said to you, I'd be crying in the bathroom." "Why do you think I stayed at the hotel last night?" de Lesseps responds.